When the war was over, the army gradually got rid of soldiers. For the drivers, it was the beginning of their civilian career. In the UK, the War Motors Association sold trucks from military surplus, and the ex-soldiers could buy them without surcharge. 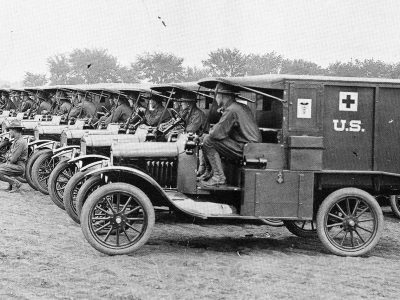 Military surplus shops even sold Ford Model T ambulances (on the photo above). 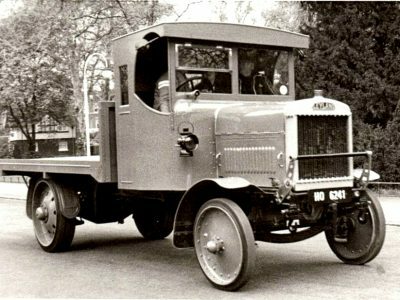 Their light chassis were used to build small buses and pickup trucks. In these conditions, completely new transport services appeared in the market. There were plenty of vehicles. 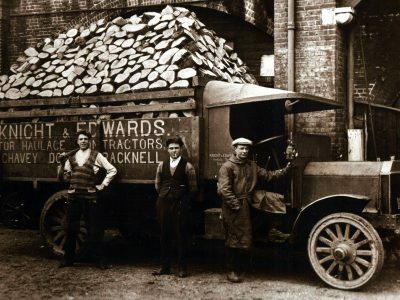 The British army alone got rid of tens of thousands of trucks. Ex-soldiers bought them and made over so to use them as primitive coaches. 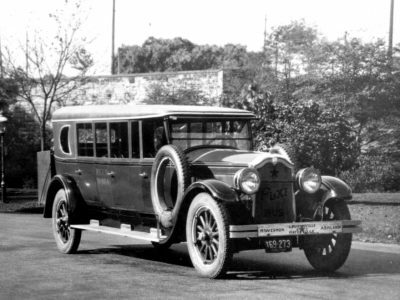 The standard body was usually replaced with the more sophisticated one. Thus, in the UK, the bus transport operators flourished, and the completely new industry supporting coach tourism was born. In all the countries, demobilized soldiers, such as Olivier Tibble, who left the army in 1919, started their own businesses. Tibble did it with his father when he bought a Dennis truck. After a make-over, the truck got a 26-seat body and took off for the journey between Andover and Newbury. The company operated until the late 1960s. 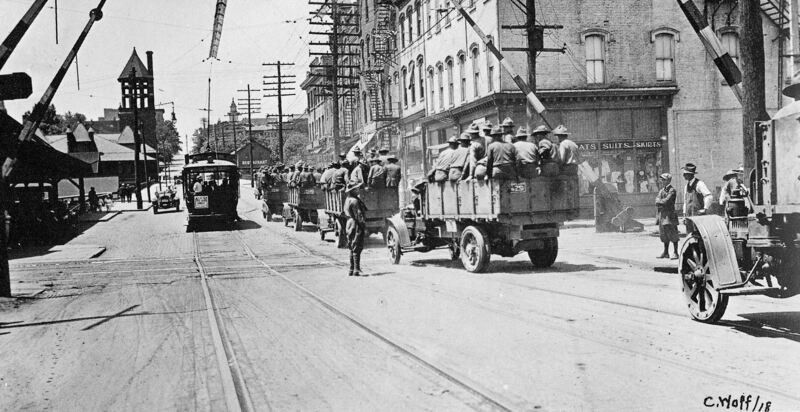 Other soldiers, such as Arndt Wobst from Germany, who learned driving a truck in the army, were eagerly hired by transport carriers. The entrepreneurs had a feeling that the horse in transportation was going out of date. Wobst mentioned that his father’s company where he worked in 1919 and 1920 had bartered 4 horses and 2 carriages with a Berlin brewery for a Benz truck. I drove the same model during the war, so I exactly knew how to handle this vehicle. The truck and the trailer had rubber tires, a chain drive, and the driver sat on the right side. The gear stick was outside, and the week lighting was provided by carbide lamps. Because I was the only person who could drive, I did it all the time. Other workers were driver’s assistants. As time went by, I got behind the wheel only in exceptional situations” – said Wobst. In the next episode of the History of Transport Trans.INFO: Why old trucks always took a barrel with oil. Why did horse transport lose to trucks?